Selected by President-elect Donald J. Trump as the new nominee for head of the Department of Homeland Security, retired General John Kelly is now one of three retired generals -joining retired Marine General James Mattis and retired Army Lieutenant General Michael Flynn- who are in line to be top-tier advisors to the future President of the United States. Respected by those who he led into combat and a grizzled veteran of the Persian Gulf and Iraq Wars, Kelly also knows the personal losses of war all too well- his own son -1st Lieutenant Robert Kelly- was killed in Afghanistan in 2010. Only four days after his son was killed, Kelly gave the eulogy -which was later chronicled in Business Insider- for two extraordinarily brave Marines who gave their lives to protect their brothers-in-arms. In the packed room, he spoke of the two Marines, who were from entirely different walks of life and -in the face of the very example of “fight or flight”- had held their ground, leaving this world on their own two feet, with their fingers on their triggers and hot brass flying through the ears. “Two years ago when I was the Commander of all U.S. and Iraqi forces, in fact, the 22nd of April 2008, two Marine infantry battalions, 1/9 “The Walking Dead,” and 2/8 were switching out in Ramadi. One battalion in the closing days of their deployment going home very soon, the other just starting its seven-month combat tour. The same broken down ramshackle building was also home to 100 Iraqi police, also my men and our allies in the fight against the terrorists in Ramadi, a city until recently the most dangerous city on earth and owned by Al Qaeda. Yale was a dirt poor mixed-race kid from Virginia with a wife and daughter, and a mother and sister who lived with him and he supported as well. He did this on a yearly salary of less than $23,000. Haerter, on the other hand, was a middle-class white kid from Long Island. They were from two completely different worlds. Had they not joined the Marines they would never have met each other, or understood that multiple Americas exist simultaneously depending on one’s race, education level, economic status, and where you might have been born. But they were Marines, combat Marines, forged in the same crucible of Marine training, and because of this bond they were brothers as close, or closer, than if they were born of the same woman. A few minutes later a large blue truck turned down the alley way—perhaps 60-70 yards in length—and sped its way through the serpentine of concrete jersey walls. The truck stopped just short of where the two were posted and detonated, killing them both catastrophically. Twenty-four brick masonry houses were damaged or destroyed. A mosque 100 yards away collapsed. The truck’s engine came to rest two hundred yards away knocking most of a house down before it stopped. In its efforts to further strengthen India-Bangladesh friendship, New Delhi is eager to develop the neighbouring country’s proposed Payra sea\port. Recent reports suggest that the Sheikh Hasina government in Bangladesh is also likely to award some segments of the Payra Port Project in south-western Patuakhali district to India. India Ports Global, a joint venture between state-run Mumbai-based Jawaharlal Nehru Port Trust and Gujarat-based Kandla Port Trust for overseas ports, is the frontrunner for the contract. It has agreed to design, fund and build Bangladesh’s first deep-sea port at Payra on its own. The initiative by India, if it materialises, will take bilateral ties between the two neighbours to a new high. Bangladesh’s international trade is carried out mostly through the sea route but the country has not developed a new sea port since its independence in 1971. Bangladesh immediately needs a deep-sea port as its two ports of Chittagong and Mongla are too shallow for handling large container ships. The capacity of the country’s busiest Chittagong port is reported to be almost exhausted. The maximum draft available at the port is 9.2 metres, which cannot handle bigger ships. As part of its policy to develop a blue economy in Bangladesh, the Awami League (AL) government has attached priority to harnessing the country’s vast marine resources following the peaceful settlement of maritime boundary disputes with Myanmar and India. The idea of the proposed Payra port was first conceived in 2013. The Jatiya Sangsad (parliament) passed the Payra Sea Port Authority Act on November 3, 2013. A fortnight later, Prime Minister Hasina formally opened the work of the Payra Sea Port at Ramnabad Channel of Kalapaara Upazila (sub-district) in Patuakhali district on November 19. The construction work at the Payra port gained momentum since 2014 when a Payra Sea Port Authority was established under the Chittagong administrative authority. In November 2015, the AL government sanctioned Taka 1,128 crore ($143.37 million) to begin construction of the port. Soon after the approval, India expressed its intent on developing the port under a government-to-government (G-to-G) deal. Since the Payra sea port is a strategically important project, India does not want its adversary China to build a maritime infrastructure just next to the country’s coastline. Reports say New Delhi is ready to take up the project though it may not be financially viable. The Indian Ocean together with the maritime area of the Asia-Pacific should be on the high priority list for the next Administration. The region has been witnessing a twin factor rise in its importance: the rise in trade transmission through the Indian Ocean has increased tremendously over the past decade, besides witnessing a dramatic ascendancy in strategic importance owing to vulnerabilities of geographic choke points and more importantly, an ever increasing Chinese presence. Increasing Chinese inroads in the Indian Ocean was not perceptively noticed by the last administration in Washington. The Indian Ocean seems likely to represent the maritime arena that would bear the second thrust of Chinese maritime power after the South China Sea. The Chinese leased their first international naval base in Djibouti denoting the extra-regional dimension of what is increasingly being seen as China’s hegemonic rise. The increasing Chinese submarine presence in the Indian Ocean is a real and present danger for the countries of the Indian Ocean littoral and should definitely concern the U.S. Navy which has been actively present in the Indian Ocean since the Cold War; both on and beneath the surface. The Indian Ocean for the next administration, then, could be a ground to better facilitate coordination between two important numbered fleets, the Fifth and the Seventh Fleets. Hitherto, the Indian Ocean’s maritime expanse has been divided between the two numbered fleets of the U.S. Navy with respective Areas of Responsibility. However, to increase effectiveness and coordination, particularly in the backdrop of strategic augmentation of the Indian Ocean, the two numbered fleets should be given some overlapping areas in the Indian Ocean. These exchanges could be coordinated with strong regional navies in the Indian Ocean such as India’s. Given increasing maritime coordination between the two navies, such collaborations would bolster maritime reconnaissance in the Indian Ocean and enhance submarine tracking capabilities in the region. Prime Minister Narendra Modi was one of the few foreign leaders whom the outgoing US President Barack Obama called up ahead of Donald Trump's inauguration as the President of the United States. While the two reviewed “all round progress” in bilateral relations, Modi reportedly thanked Obama for strengthening the strategic partnership between the two countries. As he leaves office, the outgoing US ambassador Richard Verma has described the period since the Modi government came to power as “the two best years we've ever had.” There is indeed a new momentum in bilateral ties and strong US-India relations is one the few successes of Obama whose performance otherwise has been quite lacklustre on the foreign policy front. But when he had started eight years back, this was not the Obama that India had encountered. Indo-US relationship saw unprecedented progress during the Presidency of George W. Bush. When George W. Bush repealed the Anti-Ballistic Missile Treaty, India supported America’s missile defence plans. It even offered military bases to Washington for waging the ‘war against terror’ in Afghanistan. The Indian Navy escorted American ships in the Indian Ocean relieving the U.S. Navy from its constabulary services in the region. After the fall of Saddam Hussein, India considered sending Indian troops to Iraq: not under the United Nations but alongside the US. Both nations agreed on a new framework for defence cooperation in 2004, signed a maritime cooperation agreement in 2005 and by 2007, India had started purchasing major defence equipment such as amphibious ships, maritime reconnaissance aircraft and heavy transport aircrafts from the US. This process culminated in the landmark Indo-US civilian nuclear energy pact, helping India to achieve a major strategic goal: a de facto acceptance of India’s status as a nuclear weapon state. I have some suggestions for how to improve the base unit of an infantry company: the thirteen-man rifle squad. These suggestions are informed by my experiences in Helmand Province, Afghanistan, as a Marine infantry squad leader and by observing other grunts who were far better leaders than I was. 1. As a commander, you can delegate almost anything to a good squad leader. Do so when possible. Half of the squad leaders in my battalion lived on their own patrol bases. That means that dozens of lance corporals, corporals, and sergeants ran autonomous operations daily. With on average ten Marines and a half-dozen Afghan Army soldiers, they handled several square miles of villages, farmland, and bazaars. Locals looked to these extraordinary twenty-one-year-olds to solve all of their problems. Squad leaders determined their own patrol schedules, met with elders, and trained security forces. They were given autonomy and, more often than not, thrived in it. Future squad leaders can do the same. By delegating some responsibilities to competent subordinates, officers can focus on more important tasks, like working out shirtless or watching Gilmore Girls in the Command Operations Center. How Do Imports Affect Manufacturing Jobs? The U.S.’s counterparts in the Group of Seven2 have experienced a comparable secular decline in the share of total employment devoted to manufacturing. The Canadian experience, in particular, has been very similar to that of the U.S.
As seen in the figure below, the employment share in manufacturing in both the U.S. and Canada fell roughly in tandem from about 15 percent in 1996 to about 8 percent in 2016. Just like in the U.S., the common view from the Canadian perspective is that the decline is due to increased foreign competition. Over the above sample period, more than 60 percent of Canadian trade in manufactures is with the U.S. If foreign competition is responsible for the decline in Canadian manufacturing employment, a telltale sign would be a decline in Canadian net exports of manufactures to the U.S.
George Soros said Theresa May would not last as prime minister and Donald Trump would hurt financial markets. Theresa May will not remain in power long as Brexit cripples her government, while Donald Trump is a “would-be dictator” who is “going to fail”, the billionaire investor George Soros has told the Davos world economic forum. On the eve of Trump’s inauguration as president, Soros delivered a scathing assessment, saying the “impostor and con-man” was “gearing up for a trade war” which would have “a very far-reaching effect in Europe and other parts of the world”. The “would-be-dictator … didn’t expect to win, he was surprised”, Soros told an audience of business leaders and journalists in Davos where the World Economic Forum is being held. “I personally have confidence that he’s going to fail … because his ideas that guide him are inherently self-contradictory,” added Soros, who was a supporter of Trump’s Democratic rival Hillary Clinton during the 2016 US presidential election campaign. Soros said he expected financial markets to “not do very well” because of the uncertainty generated by the Trump administration. On Theresa May and Brexit, Soros predicted economic upheaval in Britain and substantial difficulties in bringing about a clean break with the European Union – and the prospect of the UK quickly joining again or entering a successor arrangement once the referendum mandate of leaving the EU was fulfilled. “In my opinion it is unlikely that prime minister May is actually going to remain in power. Already she has a very divided cabinet, a very small majority in parliament. And I think she will not last,” he said. “At the moment the people in the UK are in denial. The current economic situation is not as bad as was predicted and they live in hope. But as the currency depreciates, and inflation will be the driving force, this will lead to declining living standards. Economic inequality, societal polarization and environmental dangers are the three trends that will create the most challenging problems for the world over the next 10 years, according to an annual report that was released at the World Economic Forum (WEF) in Davos, Switzerland, this week. World leaders are gathering in Davos to discuss some of the greatest risks facing the world, and how they might collaborate in solving them. They will be guided in their deliberations in part by the annual Global Risks Report, developed in collaboration with the Wharton Risk Management and Decision Processes Center. Those three key risks form the uppermost layer of 30 different economic, environmental, geopolitical and technology-related challenges and 13 underlying trends included in the report, which was based on surveys with 750 experts. This is the 13th year the Wharton center has produced the global risk report for the WEF. The environmental risks that rank high in the report highlight issues related to climate change, said Howard Kunreuther, Wharton professor of operations, information and decisions, and co-director of the center. “We are facing a real challenge in [the U.S.] in terms of how we are going to deal with [climate change],” he added. He noted that the 2015 U.N. climate change conference held in Paris, and the agreement reached by delegates there, was “one success that hopefully will play a role” in shaping future agendas of governments. He upheld the Paris meeting as a model in securing wide endorsement across countries. Another top risk factor is social instability, especially as it relates to wealth disparity and how it will impact the job market. The risk reports for 2016 and 2017 highlighted how income disparity has caused a growing distrust in elected officials around the world, noted Erwann Michel-Kerjan, the center’s executive director. Both reports raise alerts about how “a disempowered citizen may go for something very different because he or she is tired of the status quo,” he added. He said that such disenchantment doesn’t occur overnight, but builds up over time, and that the reports over the years have taken increased notice of these issues. New Delhi should use creative diplomacy to persuade Myanmar to resolve the Rohingya crisis. The Rohingyas are a people struck by tragedy: persecuted at home in Myanmar, rejected or barely tolerated abroad, and sacrificed at the altar of strategic calculations by powerful neighbours. To add to it, the refugee crisis in Europe has overshadowed their plight. Both institutionally discriminated and denied basic human rights in a legally-sanctioned manner as well as removed from the mainstream, over a million Rohingyas have no land they can call home. It is as though they have been expelled from humanity itself. Rohingya Muslims in Myanmar’s Rakhine state, neighbouring Bangladesh, are not recognised by the Myanmar government as an official ethnic group and are therefore denied citizenship. Most Rohingyas are not qualified to be citizens of Myanmar as per the 1982 Citizenship Law, which was promulgated by the erstwhile military junta. While it is claimed that there were no Rohingyas in Myanmar before the British brought ‘Bengalis’ to Burma, there is sufficient evidence to show that the Rohingyas pre-existed the British-engineered migration (during the British occupation of the Arakan State in 1823) from present-day Bangladesh to Burma. Even those who arrived in Burma post-1823 could not go back to Bangladesh now given that they have no citizenship claims there. This effectively makes them a stateless people. For the Rohingyas, such a ‘solitary, poor, nasty, brutish’ existence has now become ‘short’ thanks to the state-induced mass exodus that has been taking place ever since nine police officers were killed by alleged Rohingya militants in October 2016. The result has been horrifying: hundreds of people have been killed at the hands of the military, many more hundreds have disappeared, scores of women sexually assaulted, villages razed to the ground, and tens of thousands have fled the country. Donald Trump, president-elect of the United States, has said Japan should get nuclear weapons — a sentiment echoed in certain Japanese circles as well. However, both Trump and pro-nuclear advocates in Japan are wrong, because a Japanese nuclear arsenal would actually be counter to Japan’s national interests. This is not the first time that the idea of a Japanese nuclear capability has been floated: In the late 1960s, after the first Chinese nuclear test, the Japanese government under Eisaku Sato sanctioned multiple feasibility studies on how much time and money Japan would need to develop nuclear weapons. However, these studies unanimously argued against making the political decision to build the bomb, citing the tremendous losses Japan would incur in the forms of insecurity, economic costs, and damage to its diplomatic relations in the international community. First, if Japan developed nuclear weapons, it would violate international law. As a signatory to the Nuclear Non-Proliferation Treaty (NPT), Japan has committed to remaining non-nuclear and has eschewed the acquisition of offensive arms per Article 9 of the Japanese Constitution. Although recent expansive reinterpretations of the Constitution have given Japan the right to exercise collective self-defense, they still require that any such uses of force be implemented as a last resort and to the minimum extent possible. A Japanese nuclear weapons arsenal would not be, inherently and conclusively, defensive, nor would it advance a “collective self-defense” reinterpretation of the Constitution. Moreover, while Japan could very well exercise its right to withdraw from the NPT under Article X of that treaty, it is bound by other legal mechanisms, including the Additional Protocol, the Comprehensive Nuclear Test Ban Treaty, and a variety of bilateral nuclear energy agreements, under which Japan has committed itself by law to remain a non-nuclear weapons state. Thus, Japan has firmly nested itself in the non-proliferation regime through a complex web of agreements and treaties, and extracting itself from that web would prove legally dubious and politically difficult. Because it’s not in Russia’s best interests to do so, the Kremlin hasn’t sought an unnecessary confrontation with the West. The suggestion that some Russians live in a Cold War era mindset easily applies to the US military industrial complex reared folks, harping on the supposed threat posed by Moscow. Thinking along their lines, some other Americans are subconsciously duped by their reliance on the overall US mass media image of Russia. We’re living in interesting times, which see the conservative leaning Fox News channel having on (albeit comparatively limited) reasonable left leaning observers like Glenn Greenwald and Stephen Cohen (individuals who second guess some of the negative claims against Russia), as the more left (to Fox News) MSNBC and CNN favor neocons like David Frum and Michael Weiss. Besides Cohen and Greenwald, there’re some conservative minded Americans second guessing the perceived Russian threat, contrasted with the US establishment left and right critics of Russia. There’re also the more eclectic types, who don’t neatly match either of the left and right categories. As is true with the left and right, this eclectic grouping is by no means monolithic. From within and outside his party, Donald Trump continues to face lingering attempts to have him take a confrontational stance towards Russia. 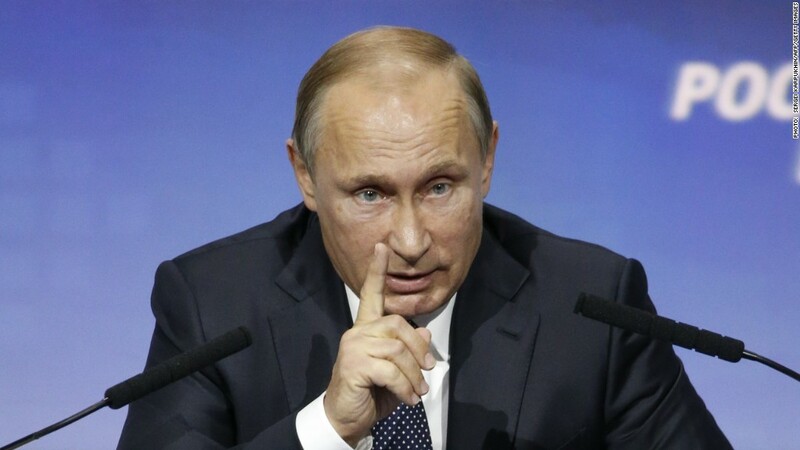 His recent comments indicate positive and not so positive stances towards the Kremlin. Meantime, others like the outgoing CIA Director John Brennan, openly take issue with Trump’s more upbeat approach towards Moscow. The term “bad actor” has been used to characterize Russian President Vladimir Putin and some other world leaders. Brennan and Florida Senator Marco Rubio engage in bad acting, with their pious inaccuracies, that are very much coddled among a good number in US mass media. Brennan’s use of “outrageous” towards Trump is chutzpah, given how the former has described Russian military action (as targeting civilians and non-military assets) to what the US has done (the opposite) – a matter refuted in my last Strategic Culture Foundation article of January 11. The legally educated Rubio scornfully addressed Rex Tillerson (Trump’s choice for secretary of state) for refusing to call Putin a “war criminal”, relative to Russian military actions and the deaths of individual Russians. Why are we so panicked about Russia? Not long after Mitt Romney was dismissed as a Cold War nostalgist for calling Russia the top geostrategic foe of the United States, elite paranoia about the Kremlin is back. Some of it is just the Vladimir Putin scare-stories that Americans are telling themselves. Much of the respectable American news media has fallen for embarrassing rumors of Russian interference and hacking in recent weeks. A story spread that Russia had hacked C-Span, replacing it with Kremlin-funded Russia Today. It was false. A week earlier thousands of outlets repeated the claim that Russian hackers had penetrated the American electrical grid. The hacked computer wasn't even tied to the electrical grid. Last year an email marketing system was confused with some imagined digital leash that Putin had around the neck of Donald Trump's campaign. Some of the unease is inspired by the real dread of watching the Russian military thwart American ambitions. A protest movement in Kiev that was cheered and funded by the West inspired a Russian reaction. The Russian Army crossed the border into Crimea, as Ukrainian nationalists watched a portion of their country lopped off in horror. We saw how easily Russia escalated its involvement in Syria, effectively saving the Assad regime from years of U.S.-backed rebellion. Russia even parodied the American playbook, claiming to intervene to stop ISIS, while in fact taking firm sides in the main theater of the Syrian civil war. And some of the Russia panic is the fear that the post-Cold War unipolar moment is ending, that we've somehow passed "Peak America." But that may just be a more prosaic way of saying that the actual ideological and psychological costs of NATO expansion over the last 17 years are finally coming home, likely to be followed by real financial costs. Air Force pararescuemen have cutting edge tech and no fear of heights. Soldiers don't have the luxury of deciding the best place to get wounded. It could happen in the midst of a firefight in a dense city, or out in the middle of the desert. Combat medics might need to get to a mountain valley or plunge into the ocean. But wherever they are going, they always need to get there fast. That's why pararescumen, or PJs, take the most direct route: straight down from the sky. "If there is any valor and humanity in warfare, it's in pararescue," an Air Force Special Operations Command (AFSOC) PJ recently told me at Hurlburt Field, an auxiliary field of Eglin Air Force Base on the Florida panhandle. There are roughly 325 pararescumen in service, 180 with Air Combat Command, and 145 with AFSOC, the Air Force's special operations component, akin to the Navy SEALs. In fact, when a Navy SEAL takes a hit, it might be an AFSOC PJ who leaps from the sky to provide aid. One active-duty PJ gave me a look at some of the most impressive and unusual gear put to use by modern airborne medics. Of all the life-saving equiptment, the flashiest must be the $85,000 anatomical dummy. The mannequin talks, breathes, bleeds, and cries out in pain, all while a series of sensors allow it to be controlled via an app. While one PJ-in-training tends to the dummy, another can monitor its vitals on a tablet. Once you're treating a living, breathing soldier, the need for a mannequin quickly falls away and other tools come to the forefront. The priority for a patient wounded in combat is MARCH: major hemorrhages, airways, respiration, circulation, and hypothermia. On the battlefield, major blood loss is the biggest threat to life. The tool for solving this problem, often caused by an IED blast, is a large syringe that injects sponge-like pellets, called XStat. The sponges work quickly, expanding in about 15 seconds to fill wounds and create enough pressure to block severed blood vessels. This is much more reliable than older gauze bandages that had to be crammed into a wound cavity by hand, such as a hole caused by a gunshot. But when the bleeding is coming from a full amputation, common on today's battlefield, a good old-fashioned tourniquet is still the best solution. To be the best student of “things military.” From history to contemporary issues — learn the most valuable. To note the good and bad of leadership to model when in a leadership position. To develop subordinates to take your position and to progress to the best of their abilities. To understand that some of your people are brighter/dumber than you and to treat each according to organizational needs. Nurture the best and manage the worst. One size does not fit all. To be honest in opinions and observations both above and below. To seek and take input from all directions. To understand that combat is chaos and that only the people on the spot can adequately decide a course of action. Control does not equal success at the cutting edge. Love your soldiers. They are tools for success. The basis for my understanding of what defines a military professional can be found here. Replace the word “profess” with the word “understand,” since the former has implications of duplicity. — The configuration and content of a systematic code of military knowledge that includes the organizational functions covered under the Napoleonic code, the six war-fighting functions used for planning and executing operations, operational design elements, and how they all work together in the varying structural levels of warfare to achieve political end states. — An understanding of technology in terms of the science, trends, and application. — The funding and acquisition processes. — Finally, a professional must always move forward intellectually. For decades the Army has offered tuition assistance to soldiers who want to earn degrees, and now leadership is looking into how to translate that program to cover civilian credential and certification training for soldiers to study skills both in and out of their specialties. A survey went out to 100,000 soldiers back in November, asking whether they would be interested in earning civilian credentials and whether they might consider that option over tuition assistance if they could, officials told Army Times in a Jan. 11 interview. "What we’re finding is, overwhelmingly, of course yes," Sergeant Major of the Army Dan Dailey said. More than 3,000 soldiers responded within the first three weeks the survey went out, according to Joe Parson, the Army's credentialing officer. The survey is the first step the Army is taking to create a sort of credentialing assistance program that would allow the Army to invest in soldiers while potentially saving money on college tuition while they're in the service. The program also could save money down the road, because soldiers with professional civilian credentials hopefully will be more marketable to employers and won't be drawing unemployment checks from the Army once they separate. The move will undo an oversight, officials said, that had the Army training soldiers in myriad job skills without giving them the piece of paper that would let them translate that experience into a civilian job. "The value proposition wasn’t very high for them to enter the marketplace because we didn’t do a very good job translating the training, education and experience they got in the service," Parson said. "We had a culture of, everything was disposable -- that you had to leave the service and it was strictly on you to translate that." ANNAPOLIS, Md. — It was early fall, and Donald J. Trump, behind in the polls, seemed to be preparing a rationale in case a winner like him somehow managed to lose. “I’m afraid the election is going to be rigged, I have to be honest,” the Republican nominee told a riled-up crowd in Columbus, Ohio. He was hearing “more and more” about evidence of rigging, he added, leaving the details to his supporters’ imagination. 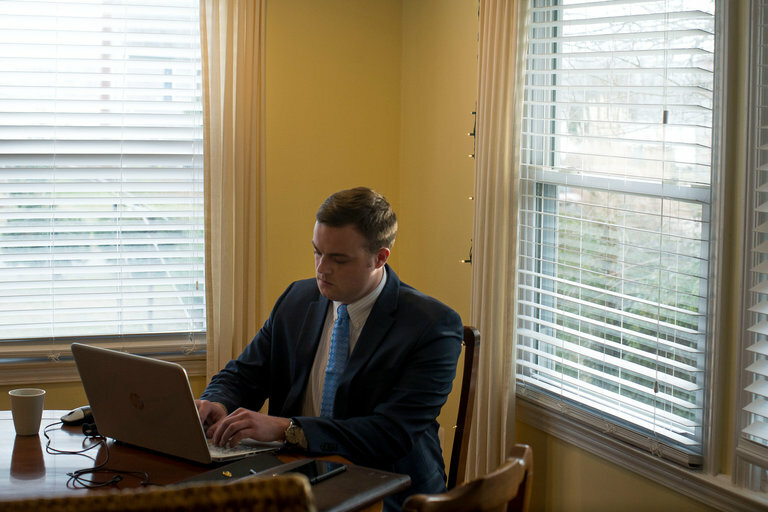 A few weeks later, Cameron Harris, a new college graduate with a fervent interest in Maryland Republican politics and a need for cash, sat down at the kitchen table in his apartment to fill in the details Mr. Trump had left out. In a dubious art just coming into its prime, this bogus story would be his masterpiece. In the run-up to the Davos meeting hosted by the World Economic Forum in Switzerland, observers have pointed out that the success of nationalist populism around the world might be connected to rising inequality. According to Oxfam, the richest eight people own as much as the whole poorer half of the world’s population. This chart shows the wealth of the richest people on the planet in 2016 compared to that of the less fortunate. A spectre is haunting the West -- the spectre of cyberwar. It's now clear, according to American intelligence agencies, that the Russian government engaged in a campaign of hacking, email leaks and fake news in an attempt to undermine the American political process -- and steer the presidential election to Donald Trump. Russia has repeatedly denied the allegation. But many are now asking: Are we at cyberwar? In the cybersecurity industry -- mostly made up of hackers and spies -- the conventional wisdom was that cyberwar is like physical war. It's only war when someone dies or something explodes. But what happened during the recent American election is forcing experts to revisit that idea. "'Nothing's blown up' is the old school way of thinking," said Dave Aitel, a former scientist at the National Security Agency. "But I don't have to blow something up to destroy your country. I just have to reduce trust in your national way of life." "I think it's a cyberwar, and I think we've lost a battle," said Aitel, now CEO of the security consulting firm Immunity. CNNMoney has reviewed NATO assessments of a decade of Russian hacking operations and spoken to dozens of computer security professionals around the world. The image that starts to emerge is stark: The Cold War moved online. And Western countries are only starting to realize it. The term they most agree on: cyber cold war. "There's something unsettling about calling this a war. But it's frivolous to ignore this," said Laura Galante, intelligence director at cybersecurity firm FireEye. "The Russians get it right, and they're beating the U.S."
Ben Nimmo, a senior fellow at the Atlantic Council who tracks how Russia uses propaganda and information as warfare tool, said the United States was not the first country to be targeted by the Kremlin. Several episodes reveal Russia's tactics and information warfare strategy to destabilize the West. An early example is Estonia, the tiny former Soviet state that borders Russia and lies at the northeast corner of Europe. When its pro-European Union government decided in 2007 to relocate a controversial World War II memorial commemorating the Soviet fight against Nazis, "the Russian disinformation machine went berserk," Nimmo said. Russian-leaning news websites reported a conspiracy theory that the Estonian government had already cut it into pieces -- then put it back together out of fear of retribution. Photos showed incisions in the bronze. The incident infuriated ethnic Russians in Estonia and set off protests in the capital city. But it wasn't true. Those groove marks in the metal were there because the statue was built in pieces back in the 1947. "It's classic fake news," Nimmo said. "It's taking a very small grain of truth -- that this statue had at one point been in pieces -- then taking a photo and showing weld marks." When the Estonian government moved to contain the protests, Russian hackers attacked the computer systems of Estonian government agencies, banks and media. It was a one-two punch Russia would later perfect. Two weeks before Russian tanks rolled into its small southern neighbor of Georgia, hackers began disrupting Georgian government websites. On the day Russians invaded, the website StopGeorgia.ru popped up with a list of Georgian websites and instructions on how to hack them. The subsequent cyberattacks made it harder for the Georgian government and news sites to communicate what was happening to them. When protests in Ukraine against the pro-Russian government heated up, hackers using Russian malware drowned the opposition's websites -- sometimes choking off their communications. Pro-Russian hacker groups CyberBerkut and CyberRiot Novorossiya leaked emails stolen from Ukrainian officials -- a propaganda tactic Russia would later employ against Americans. As Russian military forces invaded Ukraine's Crimean peninsula, hackers flooded computers at key governments across Europe -- as a distraction for the Russian government to buy time on the battlefield, according to a NATO analysis by military scholar James J. Wirtz. Hackers played a key support role for the Russian government's propaganda, which pumped out conspiracy-laden news stories that doubted whether Russian special forces actually moved into Crimea, according to NATO. Pro-Russian hackers then ramped up their attacks. During the 2014 Ukrainian presidential election, they disabled a computer that would display the real-time vote count. They defaced the Central Election Commission's website, falsely displaying the extremist candidate as the winner. "We should not underestimate the ability of hackers -- especially those that enjoy state sponsorship -- to disrupt the political process of a nation," later wrote Nikolay Koval, who at the time was the chief of Ukraine's elite Computer Emergency Response Team. The conflict peaked in 2015, when Russian hackers temporarily knocked out a portion of the energy grid in Ukraine, according to that country's top law enforcement agency. This long history of Russian cyber operations has largely gone under the radar -- mostly because they were initially hard to trace back to the Russian government. But it's become harder for them to cover their tracks. Cybersecurity expert Jen Weedon has documented how Russia has vastly increased the demand it makes of its hackers, which forces them to work fast -- and use the same tools and tactics. The trail of Russian hacking victims is now so extensive that digital forensic investigators have a definitive profile, one that the CIA, NSA and FBI agree on. There are two chief suspects: Russia's Main Intelligence Directorate, known as the GRU, and its Federal Security Service, the FSB. "This is a cyber cold war. 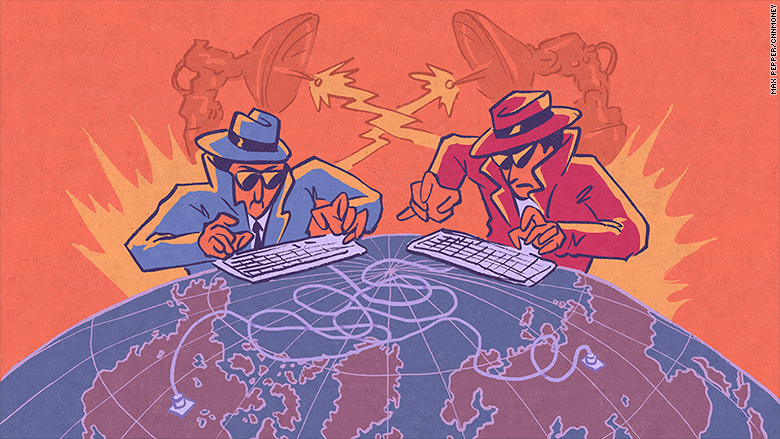 It's the espionage, the sabotage, the positioning to gain the advantage of the other," said Jeff Bardin, a former Air Force intelligence officer who trains professionals in cybersecurity. "This is a war of bits and bytes." Months after it requested input from the private sector on how to improve its cybersecurity response and coordination, the Department of Homeland Security released an updated version of the National Cyber Incident Response Plan on Jan. 18. The plan — the result of President Obama’s Presidential Policy Directive 41 to address preparedness in the wake of cyber incidents — outlines the roles and responsibilities of federal, state, local and even private stakeholders in the wake of a cyberattack. Secretary of Homeland Security Jeh Johnson said in a statement that the completion of the 180-day review of the plan will help strengthen the nation’s resolve to combat future cyber breaches. “The National Cyber Incident Response Plan is based on the guiding principles of PPD 41 and does three critical things,” he said. The plan outlines which entities take response leadership roles and how they coordinate efforts by forming a Cyber Unified Coordination Group, as well as how private entities can share threat indicators to warn of a cyber attack. DHS had solicited public feedback in October for how to update the NCIRP. The Army has sent a tank and armoured vehicles through the Channel Tunnel for the first time as it looks at ways to dispatch heavy armour quickly to eastern Europe in the event of a crisis with Russia. Five armoured vehicles loaded on wagons were sent through to France soon after midnight on Wednesday as part of the logistics exercise. They completed the 40 minute return journey a few hours later. The drill came as the Army looks for new ways to deploy armour from the UK once it closes its bases in Germany. When the bases are closed at the end of the decade, the Army will have to deploy armoured vehicles from the UK if they are needed by Nato's rapid reaction force to bolster defences in eastern Europe. The Army regularly held exercises transporting tanks on Europe’s rail network during the Cold War, but the skill has been lost as operations have focused on Afghanistan and Iraq. The Forces still use the Channel tunnel to transport containers of supplies and equipment, but they have never transported armoured vehicles. A Warrior armoured fighting vehicle was loaded at the Army’s rail head at Ludgershall, Wiltshire. A Warrior recovery vehicle along with a Challenger tank, matching recovery vehicle and a reconnaissance vehicle was loaded at Folkestone, Kent. Once an adversary successfully enters a network, the name of the game is damage mitigation. And this is why the Air Force is interested in deceptive cyber tools. The Air Force Research Lab in Rome, New York, recently awarded a $750,000 grant to Galois to develop advanced network cyber deception technology. “This topic seeks to provide new and novel approaches to delaying, disrupting and deceiving adversaries engaged in active network reconnaissance,” the Air Force’s three-phased Small Business Innovation Research proposal stated. “There is a need for secure, infrastructure agnostic, solutions designed for cyber agility and anti-reconnaissance." Implements evasive and deceptive techniques such as misreporting source and destination IP and/or MAC addresses, and intermittently changing those addresses. Prevents an adversary from determining the direction or volume of information moving within a network. Prevents an adversary from understanding the size or topology of a network. Prevents, detects and ceases communication with non-compliant or rogue clients.The idea behind the technology that Galois is building maintains the assumption that there is an adversary on the network, or there will be. And so the company plans to feed this assumed adversary false information and false directions, according to Adam Wick, research lead at Galois, who spoke to C4ISRNET about the product. Adversaries are going to make it onto networks, Wick insisted, and so it’s important their job be made a difficult as possible once they get a foothold. This can be done by throwing false information and pointing them toward traps, he said, all in an effort to minimize damage and bide time for defenders to eradicate the threat. The solution, called Prattle, will generate fake network traffic patterns mimicking real browser sessions to hide the location of important servers versus unimportant servers, Wick said. Prattle differs from traditional honeypots — or segments of a network designed to court and trap adversaries — because traditional honeypots typically don’t generate traffic beyond automated traffic. In other words, honeypots don’t generate humanlike traffic and thus can be easily identified by adversaries to not be genuine. The papers and social media are today full of claims of fake news; back and forth the accusations fly that one side of the political divide in the US has been filling the world with lies in order to discredit the other. We used to call this propaganda; now it's fake news. One of the most egregious examples of this takes us back to ancient Rome and to the very end of the Republic, when almost a century of civil war, chaos and political assassinations had led the Roman government to the brink of collapse. It was the time of the so-called Second Triumvirate. The alliance between Octavian, the powerful heir of Julius Caesar, and his right-hand man, Marcus Antonius (Mark Antony), was crumbling and two sides had formed - a clash was inevitable. It is a well-known story - Mark Antony claimed the Eastern Roman Empire as his fiefdom and had moved in with the alluring Cleopatra in Egypt. Meanwhile, his main rival, Octavian (later Augustus Caesar), was in Rome, where the ability to influence the governing Senate and the people of the city still mattered. There was a ferocious propaganda war between the two sides in full play by 33BC as both vied for public support and the military authority to sway events. Just as now, there was a lot at stake - in 33BC it was the rule of an Empire that dominated the whole of the Mediterranean. The young Octavian would eventually prove to be the master of propaganda - and, as he was also physically in Italy, unlike Antony who was in Egypt, he was able to exercise far more influence over Rome and the senate. Can cybersecurity boot camps fill the workforce gap? A startup in Denver and an initiative in Chicago are using cybersecurity boot camps to quickly prepare workers to fend off digital attacks. JANUARY 20, 2017 —Boot camps aren't just for software development anymore. With the US cybersecurity workforce facing severe shortages and data breaches surging, new groups are cropping up to respond with initiatives to quench the exploding demand for digital talent. Denver-based startup SecureSet Academy is just the latest organization to use a boot camp-style teaching model to quickly prep jobseekers for careers fighting off digital attacks. The academy has graduated 16 aspiring 'white hat' hackers since its launch last February, placing all of them in roles as security engineers, penetration testers and consultants with local firms. And now, another 17 graduates are about to join their ranks. The startup’s early success with its accelerated training program prompted venture capital fund Colorado Impact Fund (CIS) to lead a $4 million investment round this month to fuel SecureSet’s expansion. But SecureSet – which charges $19,500 for its intensive 20-week cybersecurity program – isn't the only firm pushing a boot camp-style approach, with Russia’s suspected involvement in election-related hacks dominating recent headlines. Another group doing that is the City Colleges of Chicago (CCC), which this week became the first community college system in the country to partner with the Department of Defense on a new free cybersecurity training program for active military service members and civilians.